DRIVEWAYS | PAVERS | SIDEWALKS | PATIOS | Staten Island, NY - Falcone Landscape & Construction Contractors LLC. Falcone Landscape and Construction Contractors, LLC, is a well established business, with over 25 years of unmatched expertise. Customer preference and priorities are always first. We're very timely with our work and never lose attention to detail. Call us today for a free estimate, we look forward to working with you! We can help you create an eye-catching area with our wide selection of contemporary and modern designs; wether it be your living room or a comfortable area in the yard that brings people together. You want to be able to relax in your home! Keeping the pavers in your backyard maintained throughout the year can be rough, but our technicians are reliable, professional and here to help with anything you need! The outside of your home should be just as presentable as the inside! From small projects to an entire backyard remodel, there’s no project we can’t handle! Our expert masons create elegant and functional landscaping designs to allow your property to truly stand out from the rest! 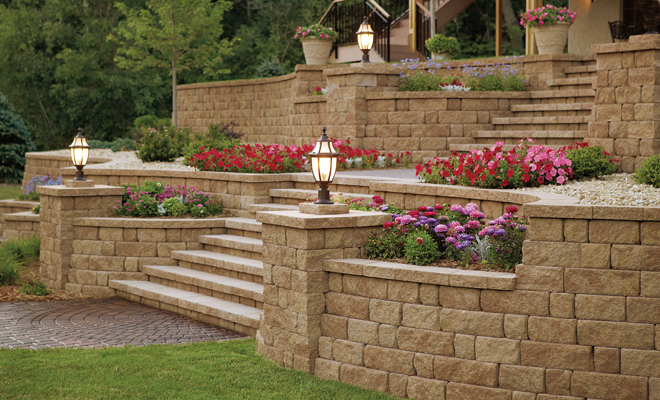 Easily upgrade the outside of your home today with one of our beautiful designs! Sidewalks are just as important as the rest of your home, considering they're the first thing your guests see when approaching! Most people don’t consider sidewalk maintenance and don’t understand just how important it is. Our expert masons can quickly fix any cracked sidewalk that may be causing an eye-sore or safety hazard on the exterior of your home! Accent your property with the highest quality walkways to give all those who pass through a remarkable experience.